One Child at a Time…We All Make A Difference. 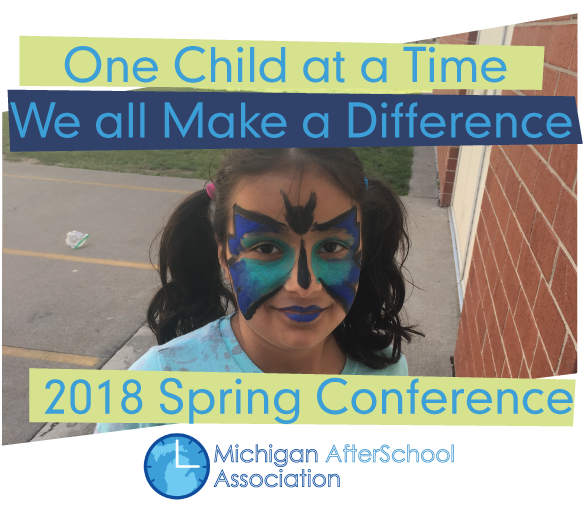 Thank you for attending the Michigan AfterSchool Association Spring Conference. From exceptional and inspiring keynote speakers, to informative and educational breakout sessions, the conference brought the after school community together in an exciting way! Check out our Facebook page for recorded video of inspirational speakers, plus photos from the event.